A huge congratulations to our team on Q.U.B.E. 2 and for a crazy and exciting launch day. A big thank you to everyone who has supported us along the way! Q.U.B.E. 2 Reviews are In! We're delighted to share what press are saying about Q.U.B.E. 2 in recent reviews! Thanks to all those who have picked up and played the game, and thanks for all the feedback! 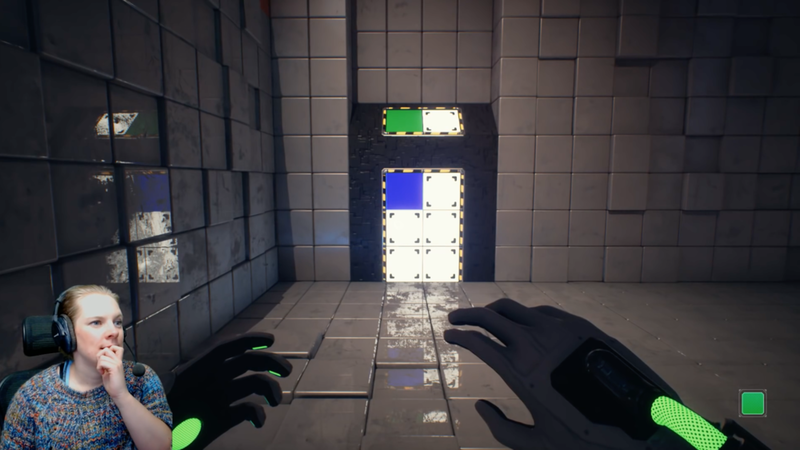 We recently did an Xbox Wire Blog Post about Q.U.B.E. 2 and it's performance on Xbox One X. "We’re supporting Xbox One X Enhanced with 4K Ultra HD. Q.U.B.E. 2 also natively switches to 4K resolution when a 4K television is detected when playing on the Xbox One X, which enables super sharp edging and a crystal-clear focus of the game world." Q.U.B.E. 2 is OUT NOW! It's finally here! Q.U.B.E. 2 is OUT NOW on Steam, Playstation 4 and Xbox One. You can pick it up with a 20% launch discount on PC for a limited time! Grab it here on Steam, Playstation 4 and Xbox One. A huge congratulations to the team for their hard work and this great achievement! We hope you enjoy playing it as much as we did making it. We're stoked that Q.U.B.E. 2 is coming to Playstation 4 on March 13th. You can pre-order the game on Playstation EU stores with a 20% discount right now! Subscribe to Plus and save even more! With the imminent release of Q.U.B.E. 2 next week, we’re holding a free weekend on Steam for Q.U.B.E: Director’s Cut! If you’ve been wanting to check out the game or if you know a friend who would love to play it, please let them know as it’s a great opportunity to do so! There’s also a major discount so go pick it up here and share the news. 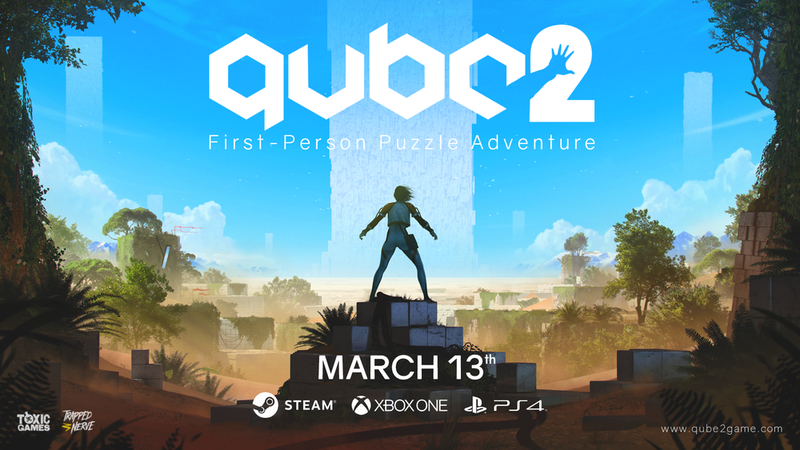 We can’t wait to bring you Q.U.B.E. 2 next week and we hope this satisfies that craving until Tuesday! Our wonderfully talented music composer, David Housden, has announced that the Q.U.B.E. 2 original soundtrack is now available for pre-order. You can check it out here. 4 tracks will be available for immediate download to early adopters, with the rest following suit on the 13th. David is an award-winning, BAFTA-nominated composer. He did a phenomenal job composing the beautifully mysterious and immersive soundtrack to Q.U.B.E. 2 so we hope you enjoy it! Our Launch Trailer is Out! We’re incredibly pleased to finally be able to share the Official Launch Trailer for Q.U.B.E. 2! Coming 13th March to PC, Xbox One and PS4. We hope you enjoy the trailer and are looking forward to the game! It describes his art process, the differences between Q.U.B.E. 1 and Q.U.B.E. 2 and our experience over the game's development. It's official! We are pleased to announce that Q.U.B.E. 2 will be released on March 13th on PC, Xbox One and Playstation 4. You'll be able to get the game on Steam, GOG, Humble Bundle and Greenman Gaming on PC. A huge congratulations to the team who've been working so hard! Stay tuned for an incredibly exciting month ahead! Adam da Rocha 12 February 2018 gaming, puzzle games, puzzle, launch date, announcement, steam, playstation 4, xbox one, gamer, qube, qube 2, q.u.b.e. The wonderful Hannah from Yogscast took on the challenging puzzles of Q.U.B.E. 2 in her latest video. She did really well but you can see from the raised eyebrow, there were a few hurdles along the way! We are delighted to release the Official Gameplay Trailer for Q.U.B.E. 2. The team has been working hard in the studio so it’s a great feeling to be able to put this out there and show you more. We’ll have some exciting announcements in the near future, including the release date so make sure to check for more news!